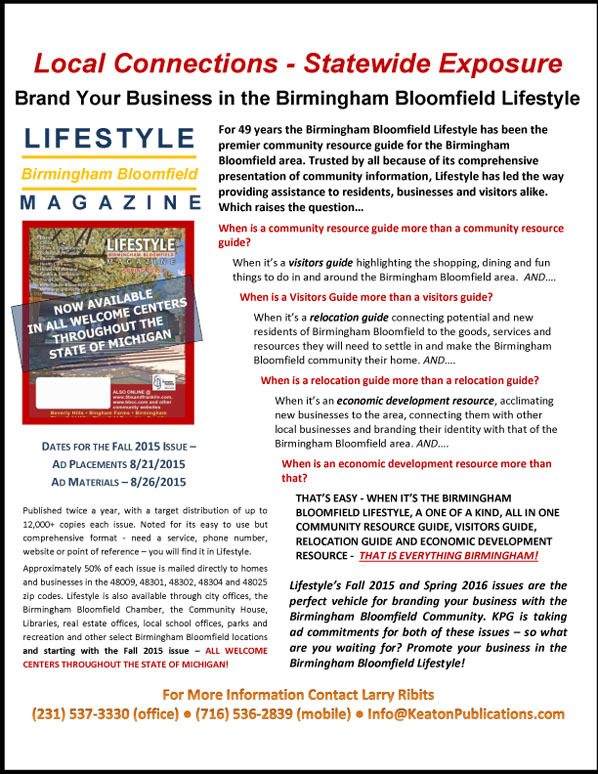 The Birmingham Bloomfield Lifestyle is the premier in-depth community resource guide for Birmingham, Bloomfield Hills, Bloomfield Township, Beverly Hills, Bingham Farms and Franklin. Residents rely on its comprehensive, no nonsense approach of providing information in an easy to use format. Need a service, phone number, website or point of reference – you’ll find it in Lifestyle.